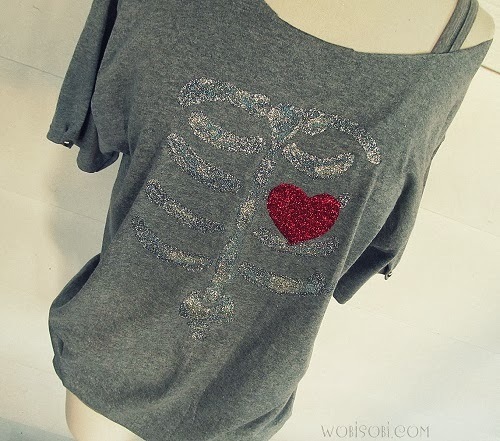 iLoveToCreate Blog: Glitter Bones and Heart Tee. 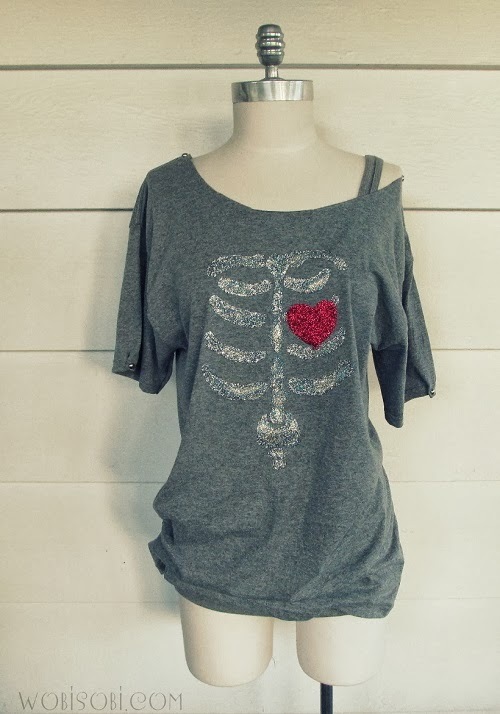 Glitter Bones and Heart Tee. When I was young I could not wait to come up with a costume to Trick or Treat in from things I just had laying around the house. Now that I am all grown up I still feel like a little kid when October rolls around. It brings back such awesome memories. 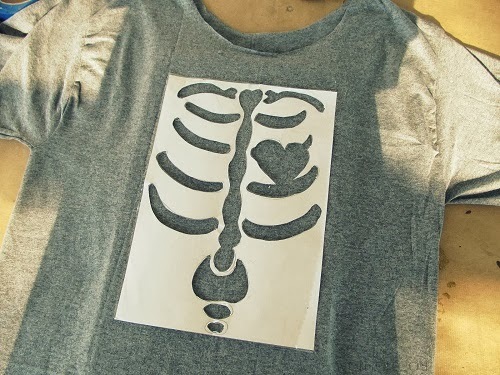 I wanted to make a shirt that I could wear even after the month of October. 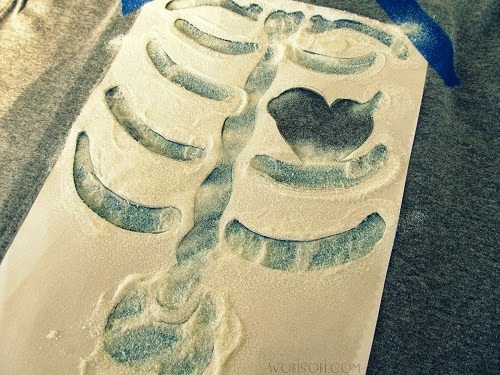 So the Glitter Bones Shirt was created. 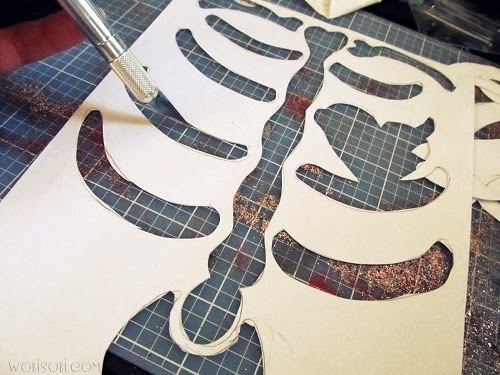 and using my X-acto knife I cut it out. 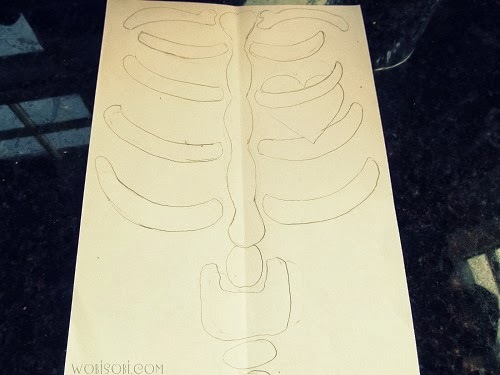 If you don't want to draw one, find one on the internet and print it out. 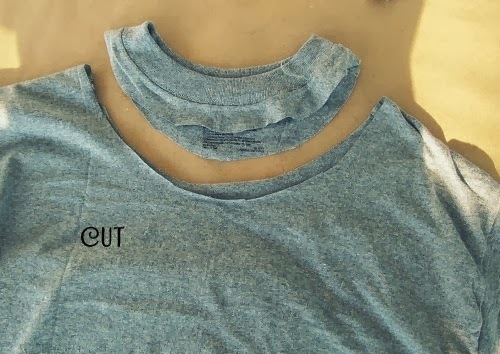 Cut the collar off of your shirt. 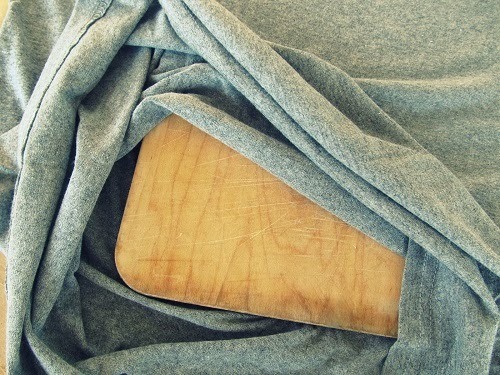 Place a cutting board between your shirt. 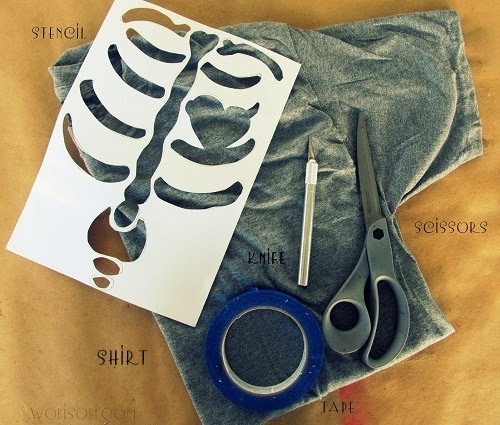 Center your stencil on your shirt, tape down the corners. 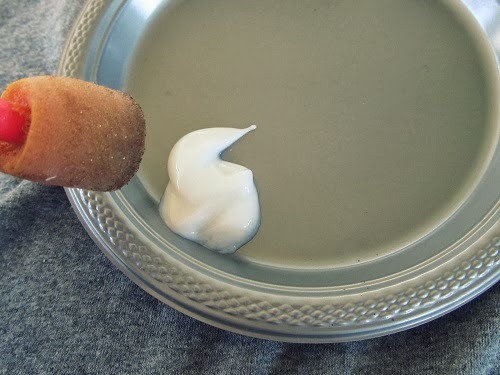 Place the Glitter bond glue on a paper plate. I left the heart plain for now because I am using red glitter for that. Let this dry for about 2 hours. then shake the glitter off. 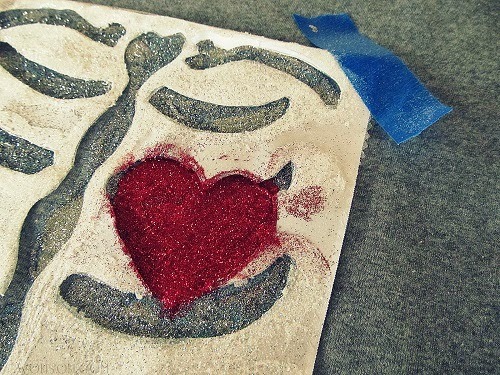 For the red heart, put glue on your heart and sprinkle with red glitter. Let that sit for 2 hours. 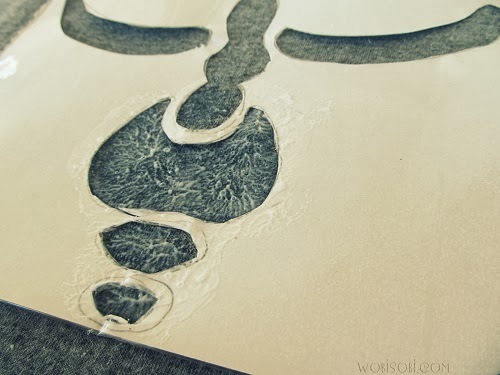 repeat glue and glitter step until you get the desired effect that you want. Let dry 72 hours before washing on the gentle cycle. I would also hang dry. plus it give it a little detail. 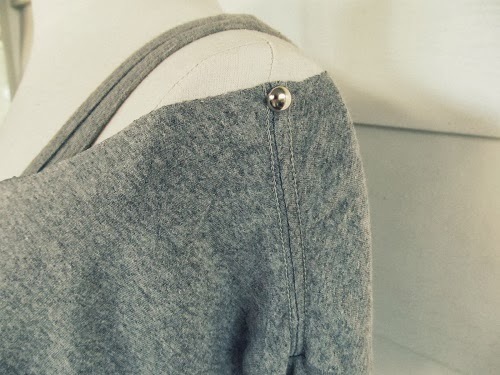 you can also gather the sleeve and place a stud there. 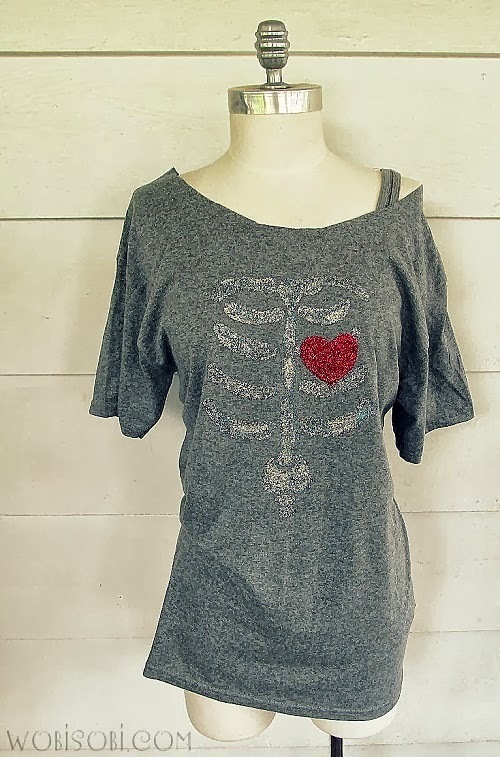 Now wear with your favorite jeans. Enjoy, and have a wonderful Tuesday. Great job Anne...you've done it again...SO cute!! Super cute! Did you use the cut off collar to make the additional strap? Thank you. 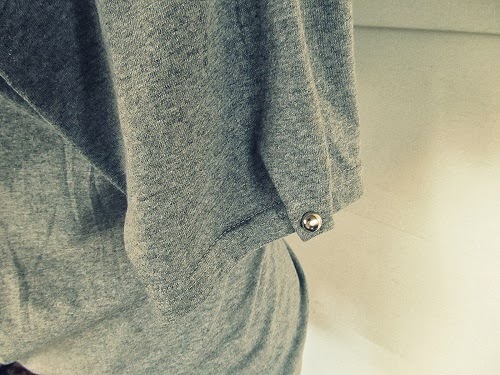 No, that is a tank top underneath :) But that is a great idea. Do you make shirts and sell them?